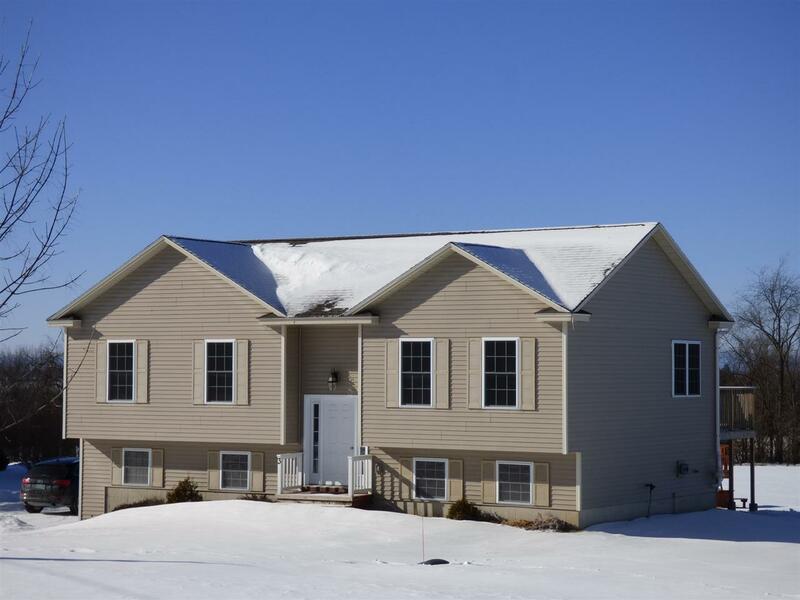 This newer 3 BR home is located on a level 1.18 acre lot in a small 9-home neighborhood very convenient to I-89, shopping and downtown St. Albans. The main living area on the upper floor is open and inviting. Interacting with family and friends is easy while preparing meals in the bright and fully equipped kitchen with island which is open to both the dining area and the living room. Enjoy the beautiful outdoors grilling and dining or just relaxing on the 10 X 16 deck off the dining area which overlooks the expansive back yard. As sunset approaches, wander down and unwind as you enjoy a fire in the firepit. The bedrooms are all spacious and like most of the rest of the house have oversized windows that let in the sunlight and also have custom wood blinds. The full bathroom on this floor also accommodates the washer and dryer. On the ground floor you can spread out and enjoy different activities in the great family room with a south facing sliding glass door that lets in lots of sunlight. There is a huge mudroom right at the entrance to the garage. Also on this floor is a spacious three-quarter bathroom and third bedroom. Updates and upgrades since 2014 included finished basement, new deck, fresh paint throughout, flooring & carpeting, light fixtures throughout the home. Driveway recently paved and owners added shed and firepit. Small laid-back association (mainly for road maintenance) with great neighborhood feel. Move-in condition.